Pattern 2 for Halloween! 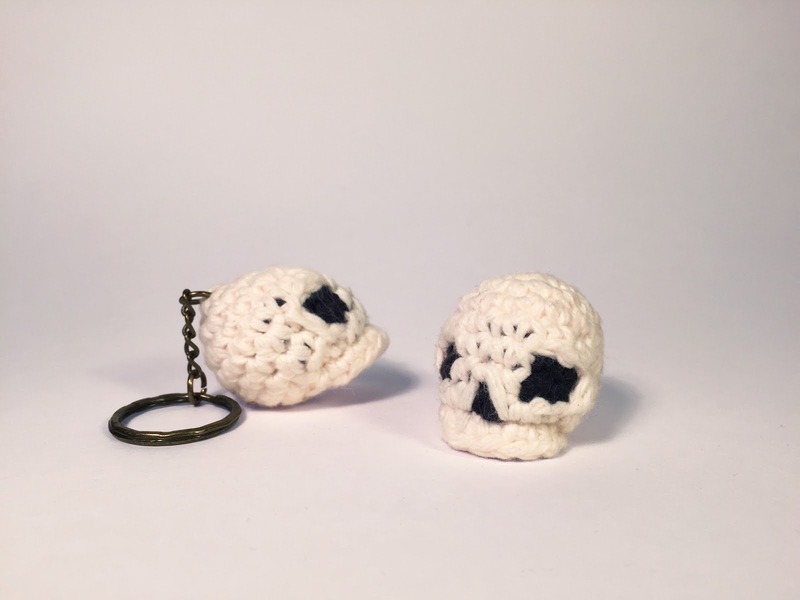 I'm a huge fan of this time of year, so to celebrate I've got a few new patterns for you guys! 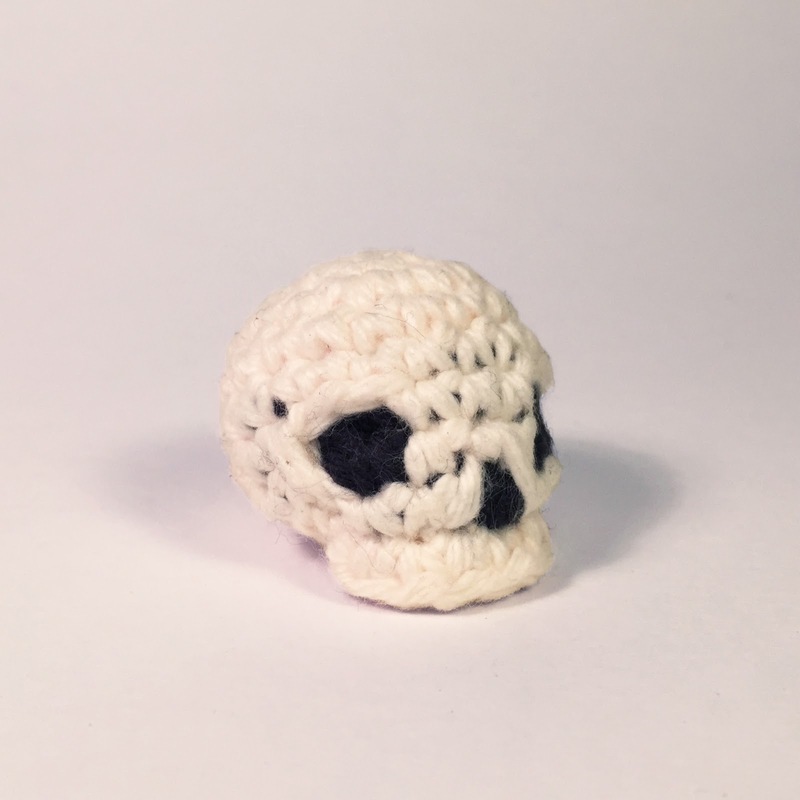 I've never yet seen a really good pattern for a crocheted skull online, so I figured I'd make one for you guys! Video 4: How to "Split"
Rnd 10: Using loop A and working around the end of loop B, dec 2.